For Christmas, I had the Byredo La Sélection Parfum Set ($145) on my wishlist so my husband ordered it for me as a gift this year. 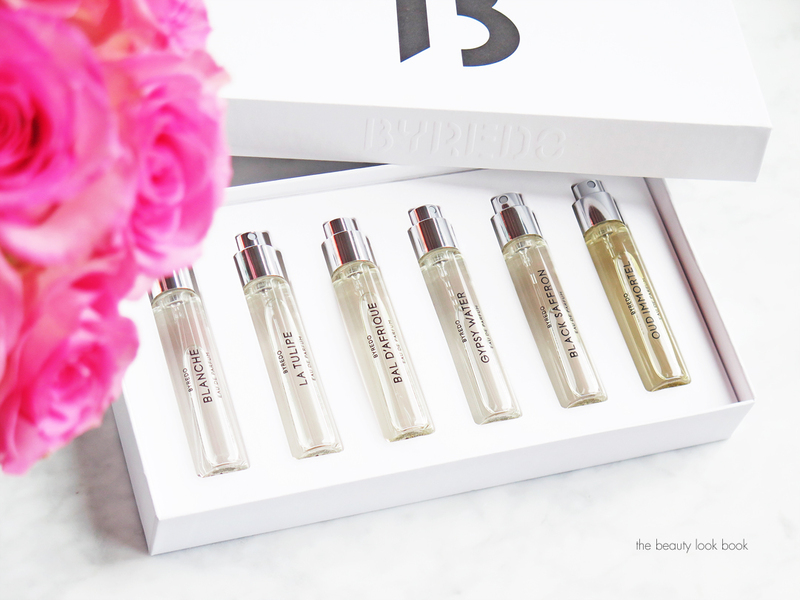 I’m one who adores exploring new perfumes and I’ve had so many from Byredo on my wishlist but it takes me forever to use up an entire bottle and I switch things up frequently so this little set is the perfect way for me to enjoy a lot all at once. 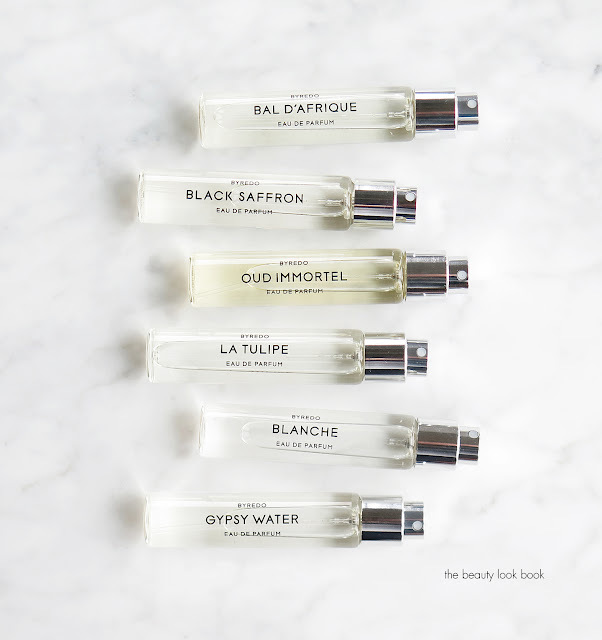 This set comes with six fragrances all 12 ml/0.4 fl oz each (made in France). These are the same size vials as the Travel Spray Trios ($110), so I consider the set a value. 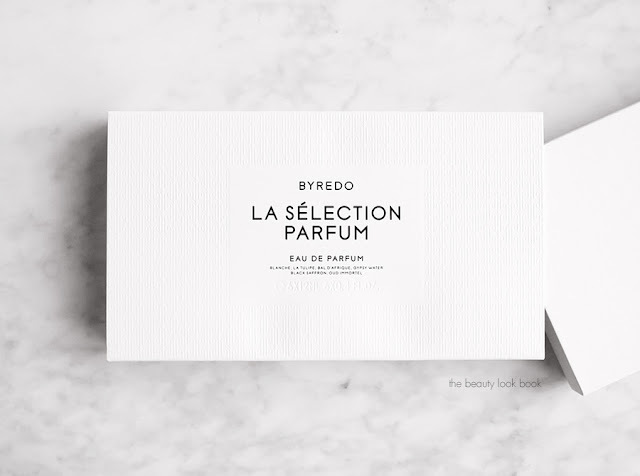 There have been other discovery sets launched from Byredo but I don’t believe they had spritzers. 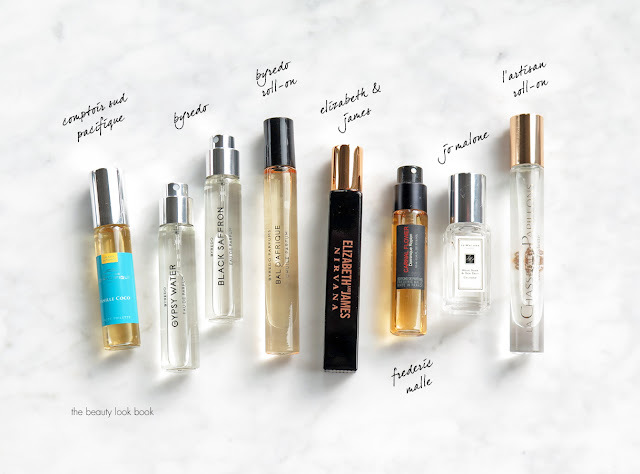 I adore perfume sets because they allow you to try a lot of different scents over time, but the downside of some is that they don’t come with a pump to spritz. I’m one who doesn’t like to dab – I find it gets messy. The set comes in a beautiful white box. The presentation is clean, crisp and just stunning in its simplicity. Blanche is like fresh clean linen floral to me. 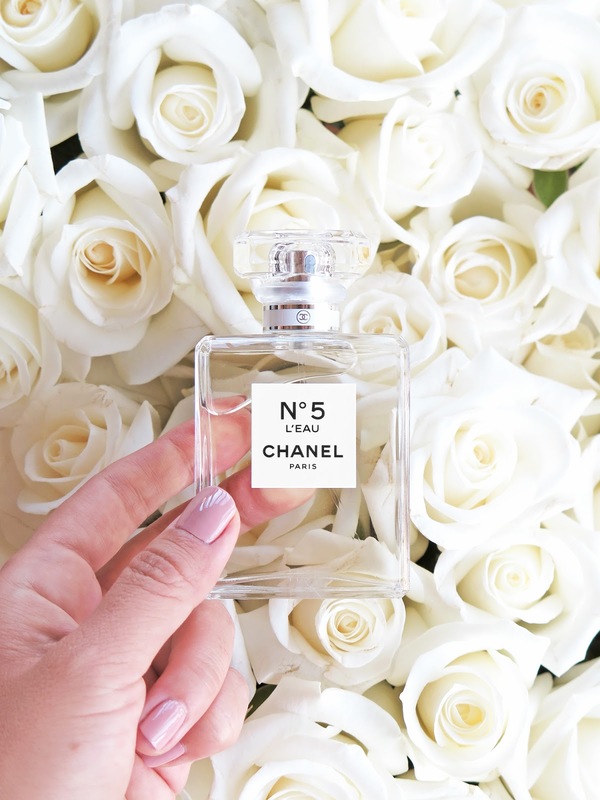 It’s a lightweight white floral that has a slight powdery feel. This one is hit or miss with the fragrance for me, sometimes it feels too powdery. I really like it in the Hand Cream and have been tempted by it in the roll-on oil version. Now that I have the spray it will give me some time to test. Top notes: white rose, pink pepper, aldehyde. Middle notes: violet, neroli, peony. Base notes: blonde woods, sandalwood, musk. La Tulipe is another fresh spring floral. It also has a very clean feel with noticeable freesia notes. It has a similar vibe to Blanche, but La Tulipe is more floral feeling. Top notes: rhubarb, cyclamen, freesia. Middle notes: tulip. Base notes: blonde woods, vetiver. Bal D’Afrique is amazing, it’s a sweet mix of musk, violet, amber, cedar and smells like it has a hint of peach. I have this in the roll on oil and have been spritzing this since I got the set. I like this one so much, I indulged in the Body Cream (review soon). Top notes: bergamot, lemon, neroli, African marigold, bucchu. Middle notes: violet, jasmine petals, cyclamen. Base notes: black amber, musk, vetiver, Moroccan cedarwood. Gypsy Water is one I had a few years ago. It’s the most amazing mix of sweet vanilla, berries and sandalwood. It gave me a horrible migrane if I didn’t spray it just right – I found I had to spritz it in a very fine mist. I’m going to give it another go – I’ve since acquired some sample minis from a few visits to the counter and tried them. They seemed to be ok, I’ll report back. Top notes: bergamot, lemon, pepper, juniper berries. Middle notes: incense, pine needles, orris. Base notes: amber, vanilla, sandalwood. Black Saffron is one I own in the full size. It’s my favorite berry fragrance. Review here. Top notes: pomelo, saffron, juniper berry. Middle notes: black violet, accord cuir, cristal rose. Base notes: blonde woods, raspberry, vetiver. Oud Immortel is the one I thought I tried at the counter and hated. I must have mixed it up with a different one because I just spritzed this one and it reminds me of Tom Ford Oud Wood and Jo Malone Oud and Bergamot, both of which I had and adored as unisex scents. My husband disagreed and said it was too masculine for me and decided to borrow it for himself instead lol. I asked a girl friend for her input and she agreed that they were both too masculine so I decided to acquiesce. I’ll have to wear this one more to see whether or not I can pull this one off, but it smells amazing. Top notes: limoncello, incense, cardamom. Middle notes: patchouli, papyrus, Brazilian rosewood. Base notes: tobacco leaves, moss. Bottom line, this set = love. I think it’s a great sampler set for those new to Byredo or anyone who has been wanting to try a bunch of scents but doesn’t want to spend the $145+ on the full size bottles just yet. I still have a long ways to go before finishing my Black Saffron, but after this set is used up I suspect I will be splurging on Bal D’Afrique. 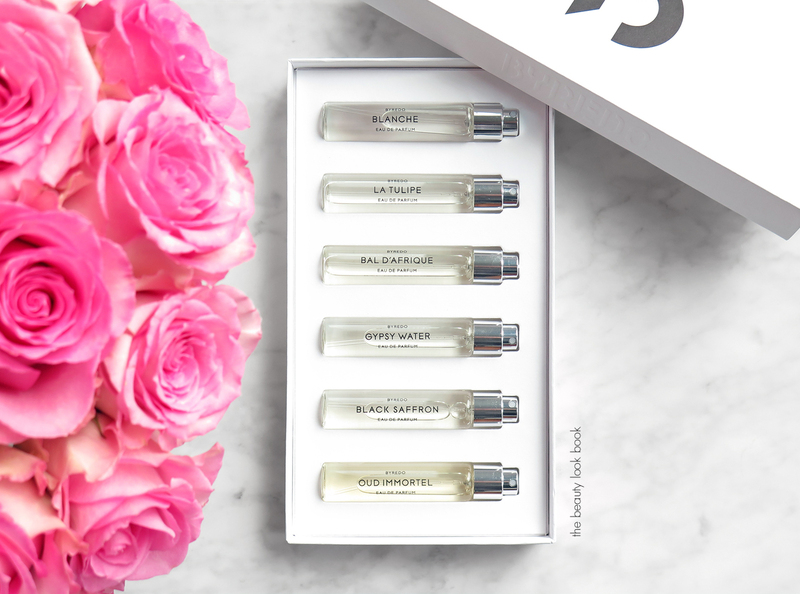 Did you find any good perfume sampler sets this holiday? If so which ones? 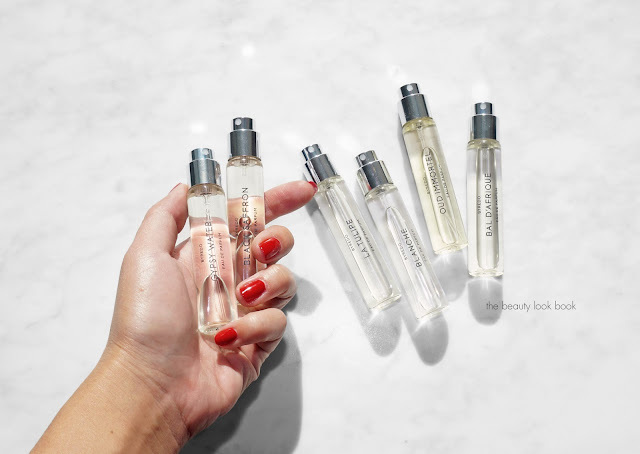 The Jo Malone Cologne Collection and Cologne Intense Sets are always great each year. I think it was awesome Diptyque launched one this year as well. I’m happy to see more lines offer these sets and hopefully next year more will incorporate the spritzer because I think it makes all the difference. You can still find the Byredo Discovery Set at a few retailers, I do suspect it is limited-edition for holiday as their sets usually are. 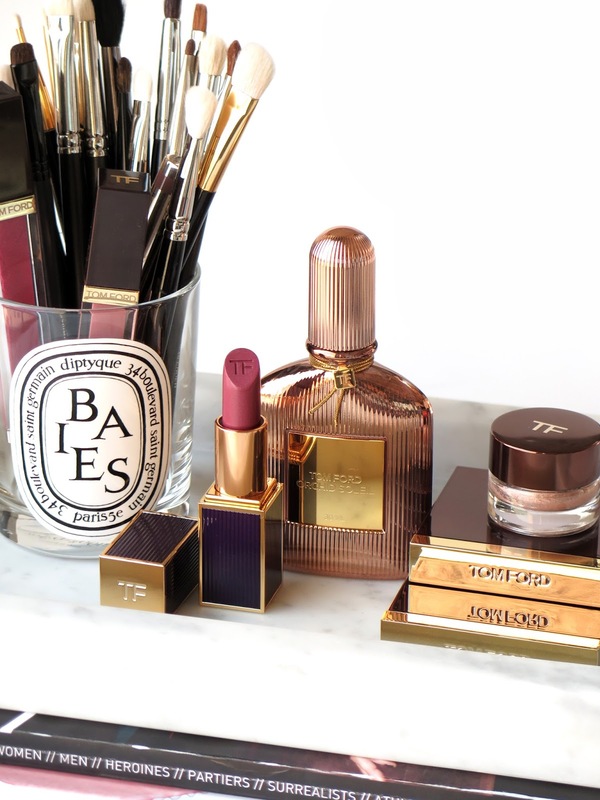 Online at Net-A-Porter, Barney’s New York and Lucky Scent.